The Bahrain Center for Human Rights (BCHR) expresses its great concern over the well-being of its detained President, the well-known human rights defender Nabeel Rajab. Rajab suffers from several illnesses which are worsening due to the poor prison conditions. 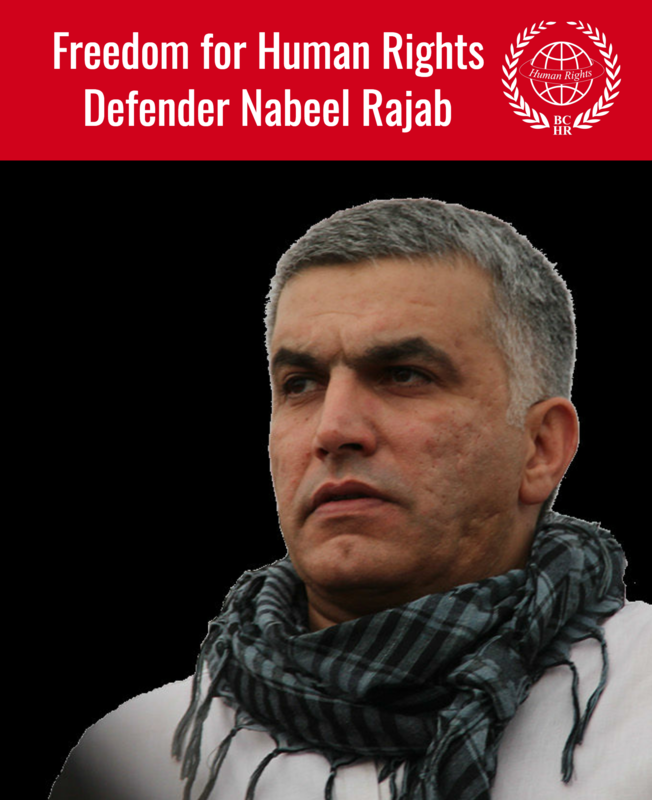 On 13 June 2016, Bahraini authorities arrested Rajab, BCHR’s President, Founding Director of the Gulf Centre for Human Rights (GCHR) and Deputy Secretary General of FIDH. On 14 June 2016, they transported him to the public prosecution and charged him with “spreading false news and rumours about the internal situation in a bid to discredit Bahrain.” His charges are in relation to statements he gave during past television interviews, in which it was reported that he spoke of credible allegations of torture at the hands of security forces, and the authorities’ placement of restrictions on human rights activities and activists. In other interviews, Rajab talked about the targeting of Al-Wefaq Society and its members, as well as the lack of independence of the judiciary in Bahrain. Rajab’s statements are backed up by credible allegations, which have been documented first hand by the BCHR and other local and international human rights organizations. On 21 June 2016, the public prosecution extended his detention by another eight days pending investigation. His lawyer’s request to release him was rejected. Although Rajab was transferred to a different detention center based on a request submitted by his lawyer, he is still enduring the challenge of extremely poor conditions in this pre-trial detention. He is being detained at West Riffa police station in solitary confinement, with no contact nor any interaction at all with other prisoners. The living conditions in his cell are extremely unsanitary, as the toilet and shower are unclean, unhygienic, and filled with potentially disease-carrying sludge. There is either no or very little water in the bathroom. In addition, Rajab suffers from illnesses that are only worsened due to his detention conditions. His blood tests have shown that he suffers from a urinary tract infection and low mononucleosis, and he’s awaiting the results of more blood tests. Rajab also needs to have two different surgical operations, to treat gallstones and an enlarged gallbladder. Rajab suffers from enlarged prostate. He also needs to be seen by a hematologist. His operations will be scheduled in August. BCHR is deeply concerned about Nabeel Rajab’s well-being. 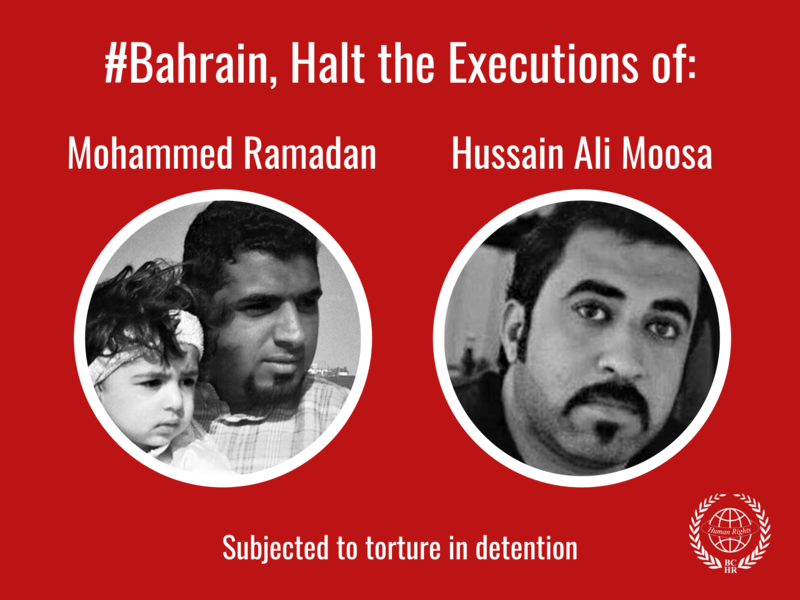 We therefore call on the international community to press for his basic human rights to be respected, for his immediate and unconditional release, and for an end to the government of Bahrain’s reprisals against human rights defenders.